It’s more than just the numbers. These days, NRECA International is helping more than 42,000 people in Haiti, 7,000 in Tanzania, four million in the Philippines and more than half a million in Uganda. And hundreds of thousands more thanks to our electric co-op volunteers, donors and supporters. Behind these numbers are families and communities who are beginning a better life. Streets are made safer by streetlights; reading isn’t limited to daytime; doctors have more medicine thanks to refrigeration; and crops are being irrigated not just by Mother Nature, but with the help of powered water pumps. These are simple – yet critical – examples of how strong communities are created and brighter futures are launched. Over the last 50 years, 110 million women, men and children in 42 developing countries have gained access to safe, reliable and affordable electricity. Over these five decades, the NRECA International team and its partners have developed meaningful relationships in these countries with government officials, community leaders, business owners and families. It’s a critical part in building solid foundations to ensure families and communities have electricity that will last generations. Today and into the future, the NRECA International team of engineers, economists, country directors, volunteers and donors continue to make these important connections. Relationships are fostered not only to understand energy needs, but what communities must have to step out of subsistence living and be on a more equal playing field with the rest of the world. About 36,000 people live and work in northern towns in Haiti where they now have affordable and reliable access to 24/7 electricity, which was not the case two years ago. Today, a new power plant, a more effective distribution grid and power lines, and an established private utility—all managed by NRECA International—provide power to the towns of Caracol, Trou Du Nord, Terrier Rouge, Saint Suzanne and Limonade—and more towns will be added soon. In south Haiti, a new electric co-op was recently born. In early 2013, NRECA International helped establish Coopérative Electrique de l’Arrondissement des Coteaux. Groups of co-op volunteers from NRECA member cooperatives have begun traveling to Coteaux to help more than 6,000 residents benefit from 33 miles of new or upgraded power lines, powered by a solar-diesel hybrid power system. Work is underway to bring electricity to thousands of people in Tanzania—many for the first time. Partnering with Tanzania’s Rural Energy Agency (REA), our team is designing two pilot projects that could reduce electrification costs by as much as 50 percent. This means power for more people. And we hope to do more. NRECA International recently completed assessing the potential for rural energy expansion to more off-grid areas and provided recommendations to USAID on how they can work with the REA to make it happen. Last year NRECA International began implementing the Philippines Advanced Metering Infrastructure (AMI) project. Working with the country’s National Electrification Administration, the project will teach seven electric co-ops how to choose, invest in and use smart grid technology. How will this help? The next time a typhoon wipes out power in remote areas, co-ops will be able to respond efficiently to outages, resulting in more reliable power for the consumers. For the last five years, NRECA International has worked with Uganda’s Rural Electrification Agency to develop a new national strategy to expand electric service to rural households and businesses. Recently, a detailed report was completed with recommendations on how it should be done, including off-grid solar energy solutions for people who live in far-flung areas. How many people are electric co-ops helping? Hundreds of thousands. 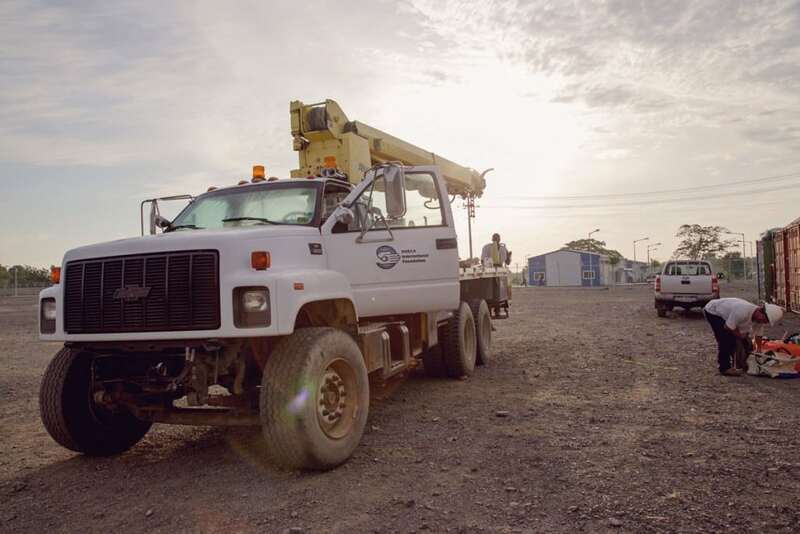 In November 2014, groups of volunteer linemen traveled to Haiti and Guatemala to build or upgrade power lines. They work for electric co-ops from Arkansas, Missouri, Illinois, Washington, Wisconsin, South Dakota, Montana, Kentucky, Texas, Minnesota and Utah. And more may be added in the months to come! Chippewa Valley Electric in Cornell, Wis., recently donated 165 transformers to the Power for Progress Program in the Philippines. FEM Electric in Ipswich, S.D. donated a variety of line materials to the electric municipal in Ixcan, Guatemala. Four volunteers from Coweta-Fayette EMC in Palmetto, Ga. traveled to Costa Rica in September to support their sister electric co-op, Coopeguanacaste. To learn more about how NRECA International improves the quality of life for people around the world, visit www.nrecainternational.coop. Zuraidah Hoffman writes on international consumer and cooperative affairs for the National Rural Electric Cooperative Association, the Arlington, Va.-based service arm of the nation’s 900-plus consumer-owned, not-for-profit electric cooperatives.